Hermosa Beach is located in just south of Manhattan Beach in the South Bay area of Los Angeles county. Hermosa Beach is located in the heart of the three beach towns commonly referred to as the "Beach Cities" with Redonodo Beach located to the south and Manhattan Beach located to the north. This is a beautiful beach town filled with luxury beach front estate homes and beach close properties. 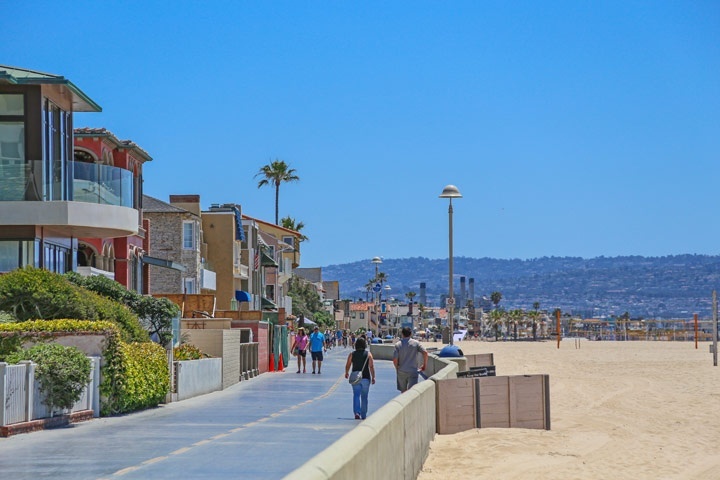 There are several areas located within the city that include the Hermosa Beach Sand Section, Hermosa Beach Valley and Hermosa Beach East section. Many of the homes here are located within a short distance to the beach and the downtown area with the many quality shopping and restaurants. Hermosa Beach real estate prices will normally start in the mid $300,000 range for a standard one bedroom condo in the Hermosa Beach Valley area. Properties by the beach tend to be much more expensive with real estate prices starting in the $700,000 range for a home located in the Sand Section. The most expensive homes can also be found here located on the beach front street called "The Strand." Here homes located directly on the sand can well be above the $10 million dollar price point. For the most part a large majority of the homes listed for sale will be in the $1,000,000 to $2,000,000 price point. Below are all the communities and homes for sale in the Hermosa Beach area.